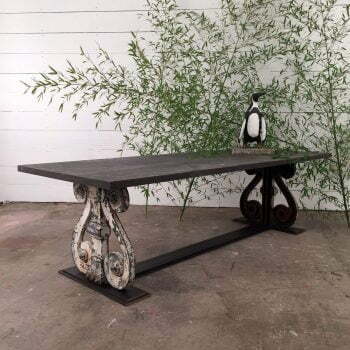 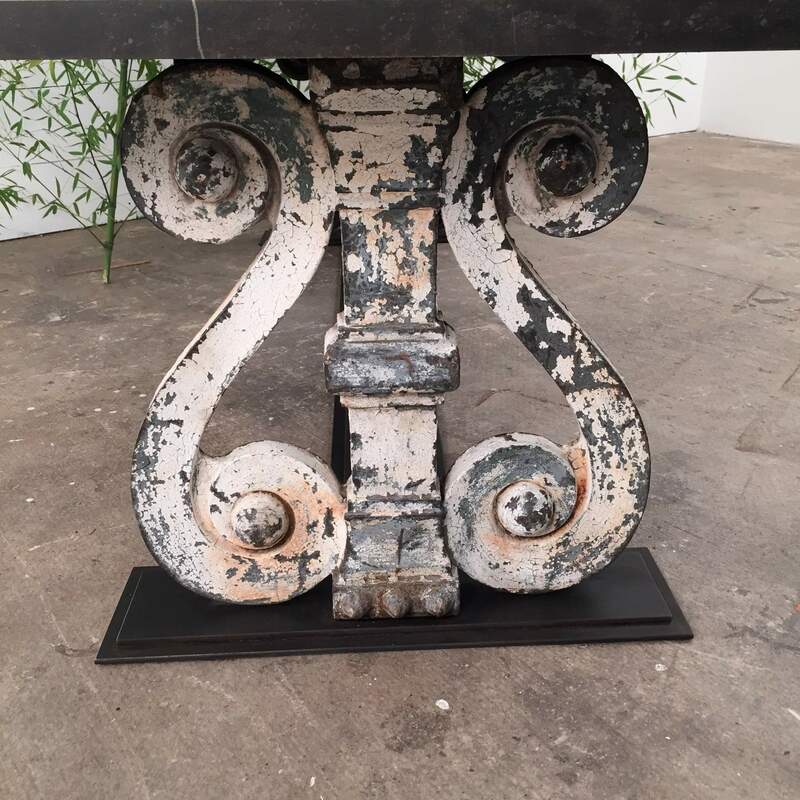 A very rare garden or interior dining table composed of architectural elements used as table bases from the Epoque of Napoleon II, and a rectangular table top in Blue stone.The antique base is made of cast iron with layers of natural patina. Categories: Garden Furnishings, Garden Furniture, Tables & Side Tables. 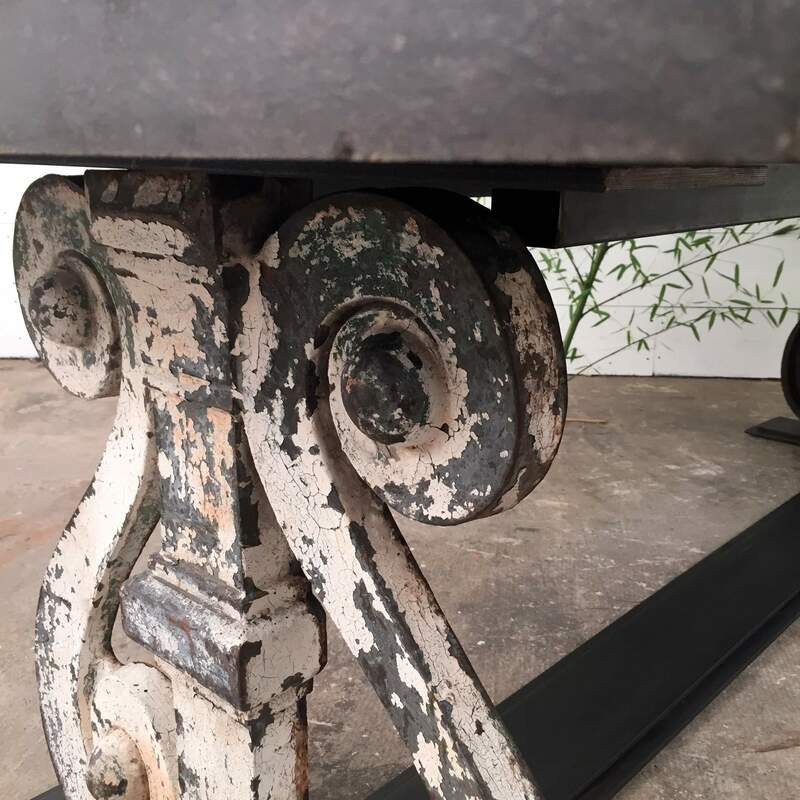 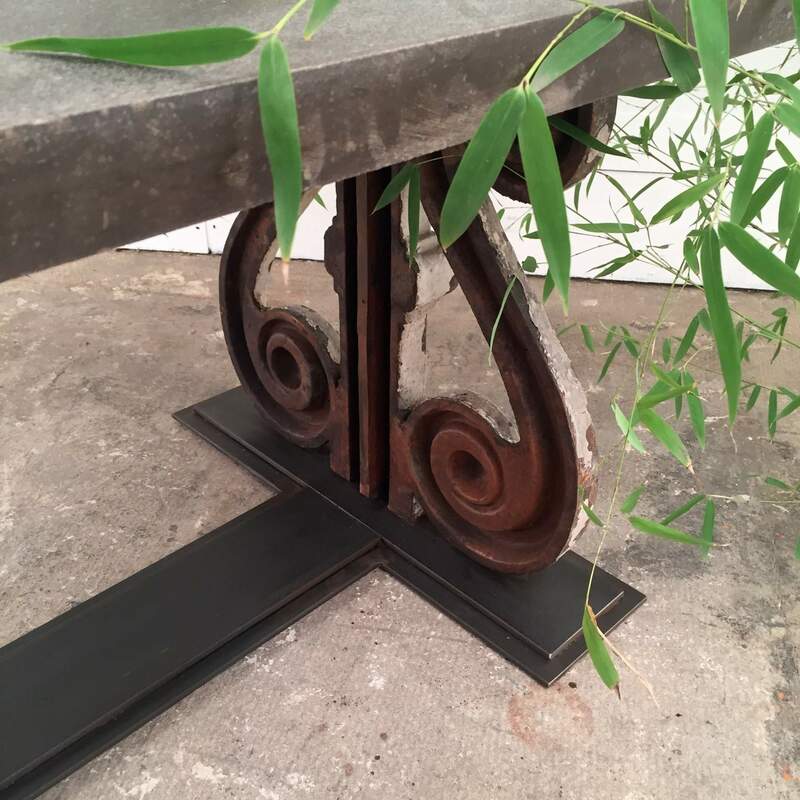 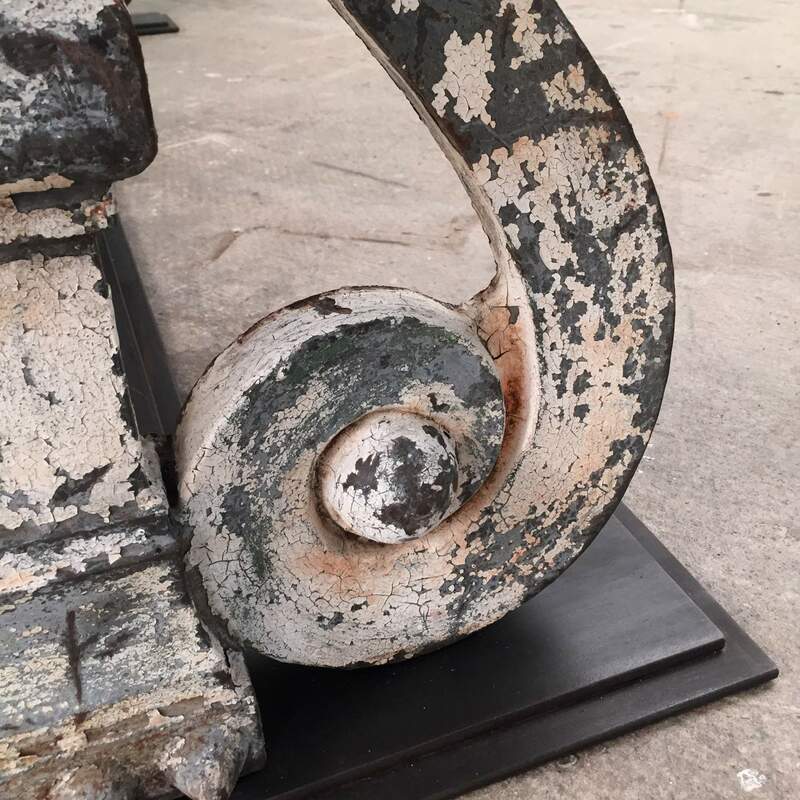 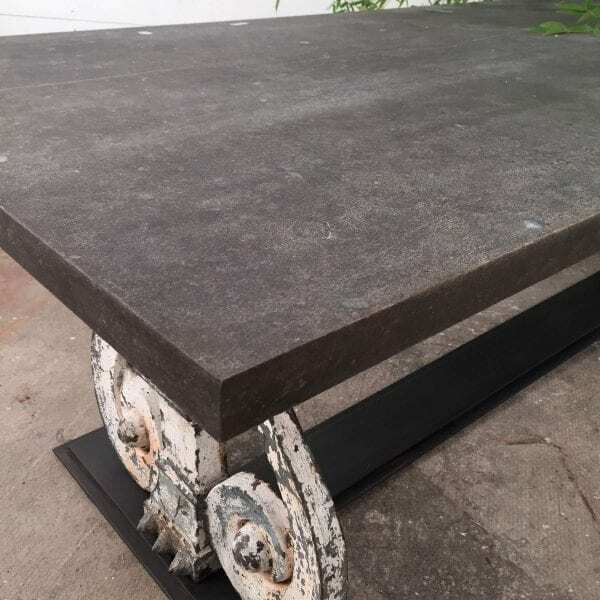 Tags: BLUESTONE, CAST IRON, FRANCE, MARBLE, METAL, TABLE. 29.5 H in. x 39.5 W in. x 102.5 D in.